To make the online transactions safe and secured, V1 Technologies offers the best-in-class payment gateway integration services. Whether it is a simple website or a high-end eCommerce website, we offer the best solutions at the most reasonable prices. 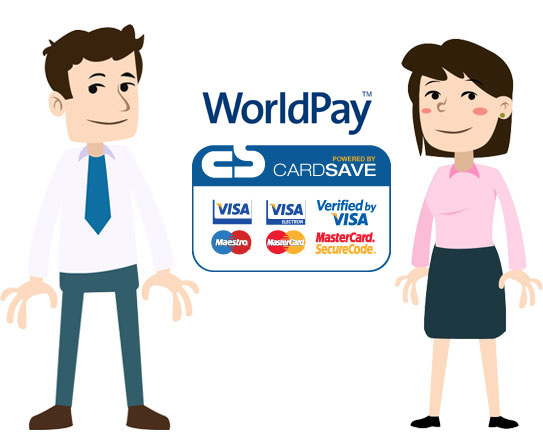 Worldpay CardSave is one of the leading payment gateways that are used by various online businesses across the world. Worldpay ensures the transactions are safe, secured and quick; so that customers are complete their purchase cycle without worries. V1 Technologies offers effective WorldPay payment gateway integration services in London, so no matter what your requirements are, we can help you serve your customers better. Global Support: You have access to advanced anti-fraud programs that make your website risk free. Worldpay offers flexibility, so you can upgrade as and when your business grows. Wider Reach: Worldpay operates across the globe and supports 120 different currencies and over 200 payment types. WorldPay (formerly CardSave) is the most accepted and most popular methods of accepting payments online. It is easy-to-use, secured and reliable. However, you need to partner with highly qualified professionals to ensure that the WorldPay (formerly CardSave) API is perfectly integrated with your website. We have the best bunch of programmers, who ensure that our WorldPay (formerly CardSave) integration service UK gives you peace of mind. We have successfully integrated WorldPay (formerly CardSave) API into numerous websites belonging to a diverse range of industries. At V1 Technologies, we understand our clients and their individual requirements and offer tailored services, so that they can reach the next level. To get your website or mobile app linked with WorldPay, get in touch with us today!